Did you know that deer shed their antlers? I was surprised to learn this fact that they really do shed their antlers. They aren’t a permanent part of the deer’s body. They are so natural looking, they should be permanently attached to the deer’s head. 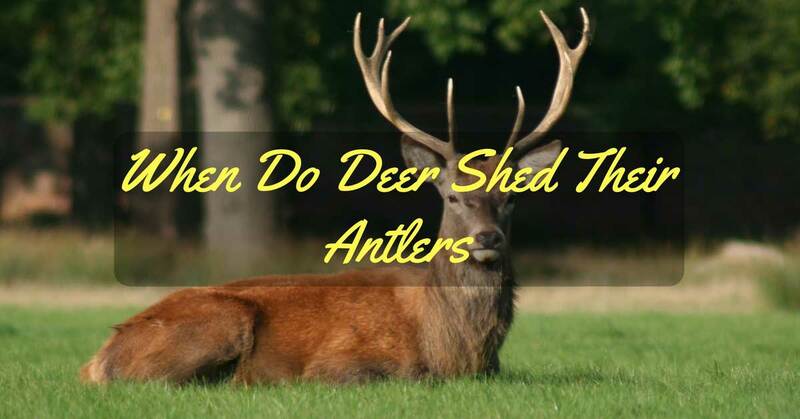 The next logical question would be: When do Deer shed their antlers? That question is the main focus of this article so let’s get started. Older bucks will definitely shed their antlers earlier than younger bucks. Their bodies are older and are more stressed during mating season. Therefore, their antlers drop off earlier than these other bucks antlers will shed. Each buck’s antler cycle is different and independent of other buck’s antler cycles. Many antler biologists firmly believe that the shedding of antlers is definitely tied into the birthdate of the buck. It’s believed that the buck will shed their antlers the same week every year in controlled environments. One noted biologist believes that the shedding time for antlers is directly tied into the individual buck’s antler cycle. Bucks 3 1/2 years or older will shed their antlers faster than bucks who are 2 1/2 years old or younger. You will find that food levels are directly tied into deer losing their antlers. Depending on what region of the country the deer are found in determines when they drop their antlers. We know this is due to the food supply found in these regions. In regions of the country where food is plentiful for the deer the later, they will drop those antlers. Other areas where the food sources are scarcer the deer generally shed their antlers earlier. In those areas where the food is heavily browsed the deer will be undernourished causing earlier than normal antler shedding. The parts of the country where the food isn’t browsed as frequently you will observe that healthier deer thrive. The deer are able to feed on ample food supplies maintaining their nourishment. Their bodies retain proper nourishment and their antlers drop later in the season. If you live in the North where there snowfall is heavier which results in deeper snow, the deer will drop their antlers in mid-December to late January which is earlier for deer, in other parts of the country, to drop their antlers. The food sources are limited in these areas. Compared to other parts of the country where food sources are plentiful due to warmer climates. For example, if you live in the Midwest farming part of the country. The food is plentiful for deer so naturally they will shed their antlers later owing this occurence to proper nourishment. They start shedding their antlers in mid-January or later. One prime factor influencing when antlers drop is the physical condition the deer are in. If the deer have puss permeating from their antler pedicles or eyes obviously they will be in poor health. Their antlers will drop earlier than healthy deer. Testosterone levels in male deer will drop due to poor nourishment causing their antlers to shed earlier than normal. Testosterone levels directly influence the time when male deer shed their antlers. In contrast when testosterone levels are running high the male deer will keep their antlers longer. One study in Mississippi discovered some interesting facts about when deer will drop their antlers. You should remember this experiment was conducted in a controlled environment with captive deer. According to this study, deer were living in the same habitat year after year. The researchers fed the deer the same diet every year and their rutting season occurred at the same time. In these environmental conditions the deer shed their antlers at the same time every year. We need to remember these were controlled conditions and these findings won’t predict when deer will shed their antlers in wild conditions. Deer in the wild will live in conditions that will vary from year to year. Consequently, their antlers will not always shed the same time every year. One constant factor effecting when deer will drop their antlers is the rutting/mating cycle. Every season will be different when it comes to deer mating. Variables influencing the final outcome of deer shedding are unpredictable. We mentioned earlier the testosterone levels in bucks will control when their antlers fall off. Their levels are running high the antlers will stay on longer; once they lower to certain levels the antlers will fall off. When this happens an “abscission layer” builds between the deer’s antlers and their pedicles. The antlers will then dissolve and fall off. Does reach an estrous level which makes them compatible for mating. During this time the male bucks are in the “rut” stage keeping those testosterone levels running high. They keep chasing the does to mate with them. As long as the mating season endures the bucks will keep their antlers. Does who haven’t mated in the first cycle will come around later in the winter to mate. This causing the bucks to chase the “estrous” does latter into the season resulting in their antlers shedding later than normal. Other does who mature later in the winter will be out looking to mate with bucks. This too will prolong the cycle before the bucks will shed their antlers. Finally, their testosterone levels will wind down causing them to shed their antlers. The opposite cycle will occur. When there is a shortage of “estrous” does, the bucks will stop looking for partners to mate with. Their testosterone levels drop earlier than normal and they will shed their antlers earlier than their usual cycles. We have discussed when deer shed their antlers. Many factors such as habitat, physical health, age, and mating seasons will contribute to the timing of the deer’s antlers shedding. Testosterone levels in the male deer are the driving force that the tell deer’s bodies when to begin and end the process of antler shedding. It’s our hope that you have enjoyed reading this article. If you have any questions or comments about the subject matter please feel free to leave them. Did you like the article? If you did enjoy reading this article please pass it on to your family and friends. Don’t forget to share it with all your hunting friends. 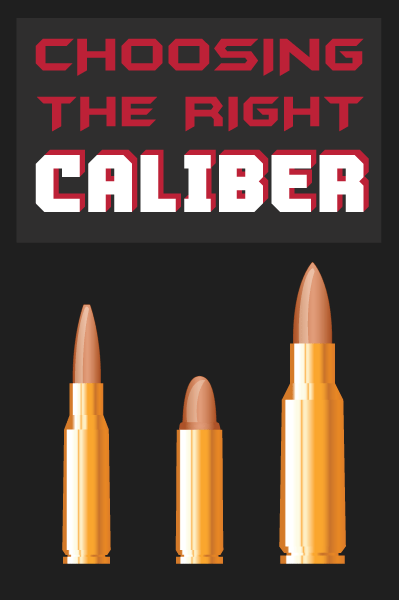 Post it on your favorite hunting forums.